Pa. Governor Works with Ohio, W. Va. To Produce More Natural Gas… And with the DRBC to Ban Fracking? And while he’s right – this collaboration and shale development are creating tremendous opportunities for the Commonwealth – his statements are pretty hypocritical considering he also “proudly” supports a ban on any fracking in Pennsylvania’s Delaware River Basin (DRB). Gov. Wolf’s support of a DRB fracking ban isn’t new, as it was one of his major campaign promises, but it is simply mystifying that he can acknowledge the “jobs and economic growth” that go with shale development in one part of the state and deny access to these benefits to folks on the wrong side of a water basin line without any rational reason for doing so. Despite this evidence, Gov. Wolf advised Sec. McDonnell to vote to move forward with draft DRBC regulations that include a ban on fracking in the DRB. Gov. Wolf’s statements that “[t]he shale gas resources in the Appalachian Basin represent enormous economic opportunity not just for Pennsylvania, but for the region as a whole,” is an admission that he too believes that shale can be safely developed in Pennsylvania in a way that is beneficial for all. And why wouldn’t he, when his own DEP head has acknowledged that is exactly what is occurring in the Susquehanna River Basin. 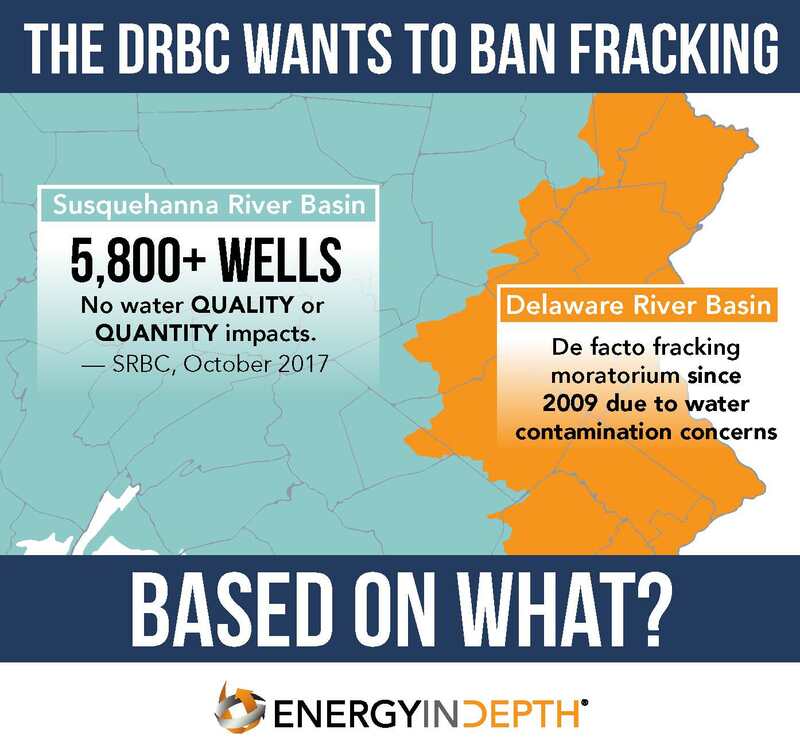 In light of this, and as the DRBC comment period on its proposed fracking ban comes to a close next week, the question remains: Will Gov. Wolf stick to the science and evidence that his own administration is touting and advise Sec. McDonnell to vote against a ban on natural gas development for nearly half of the state?